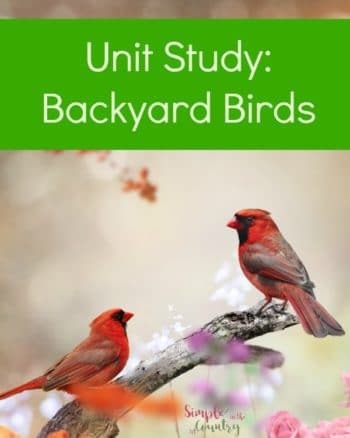 Whether you currently use unit studies in your homeschool or are looking to incorporate them this is the place for you! Our American Symbols and Landmarks Unit Study, honoring the history of our nation is very important to me. 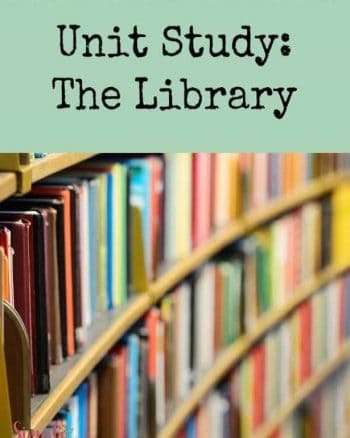 We are weaving a lot of symbols throughout our study and I wanted to share some resources and ideas with you. From one end of the the country to the other, north, south, east, or west we have some incredible buildings, artwork, and artifacts-they definitely deserve a unit study unto themselves. Field Trips– If at all possible plan a field trip during the time you will be studying American Landmarks and Symbols. 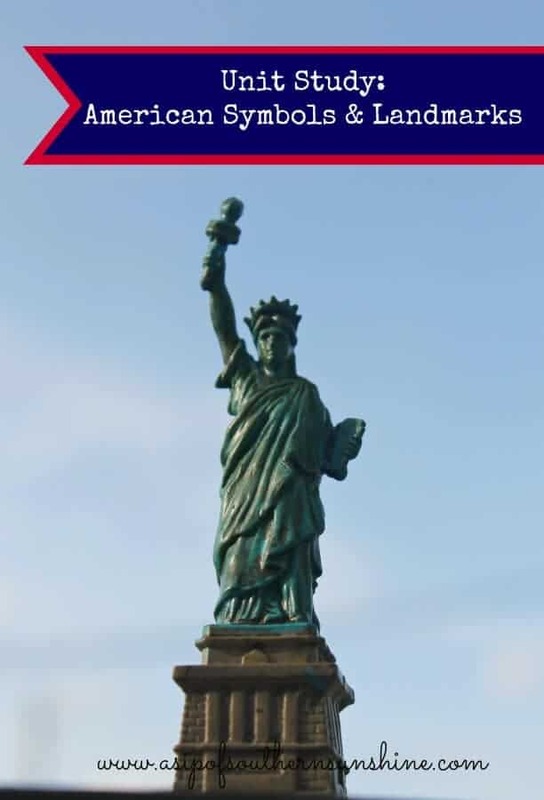 Head to New York to visit the Statue of Liberty, D.C to see the White House, take a vacation in Philadelphia, Pennsylvania to get a picture of the Liberty Bell. Take advantage of the internet when you can't travel to see them, check out Wikipedia for each one, search Youtube for national landmark virtual tours like this. Hands on Activities– Include lots of hands on activities-sew your own Statue of Liberty costume or this no sew one from The Sewing Rabbit- Home Ec, construct a flag from pallets or paint sticks – Shop class, or make a bald eagle from handprints from Learn Create Love-Art . 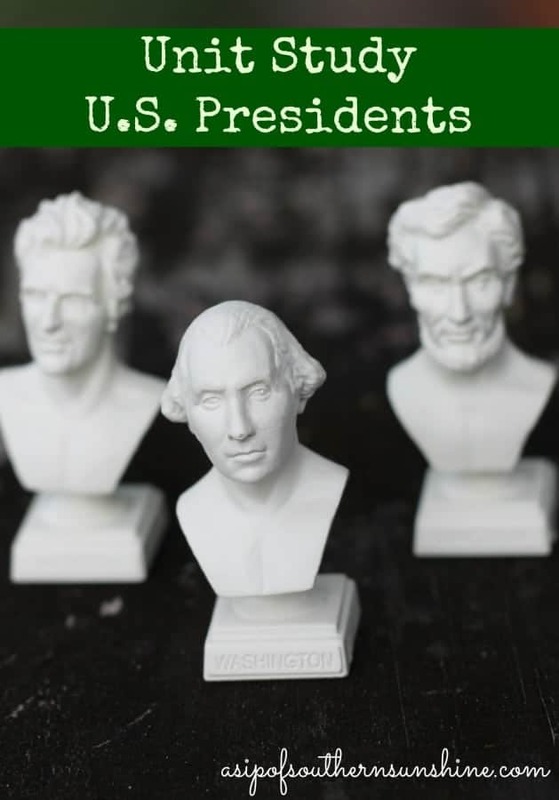 Make a lapbook , Mount Rushmore out of clay-Art, build the White House from LEGOS-several subjects are covered with LEGOS. You will want to be sure and grab these US Landmarks and Symbols cards HERE at Homeschool Den. Use various mediums to create and make them come alive for your child and the meaning will be even more deeply ingrained. 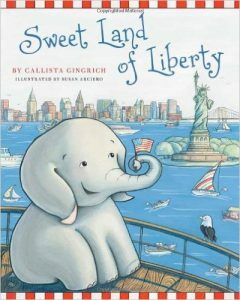 Sweet Land of Liberty– This one focuses more on historic events but many iconic symbols and landmarks are reflected throughout the pages. 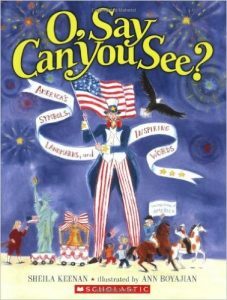 Oh, Say Can You See– This was a great book we picked up that covers everything from Mount Rushmore to the Statue of Liberty and The Great Seal to the White House. 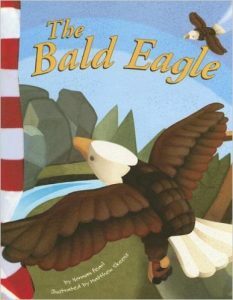 The Bald Eagle- There is an entire set of these books that cover American symbols, this is the one we started off with. 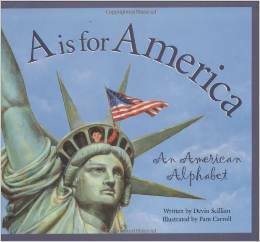 A is for America– An peek through the alphabet into symbols, historic events, landmarks, and famous Americans. 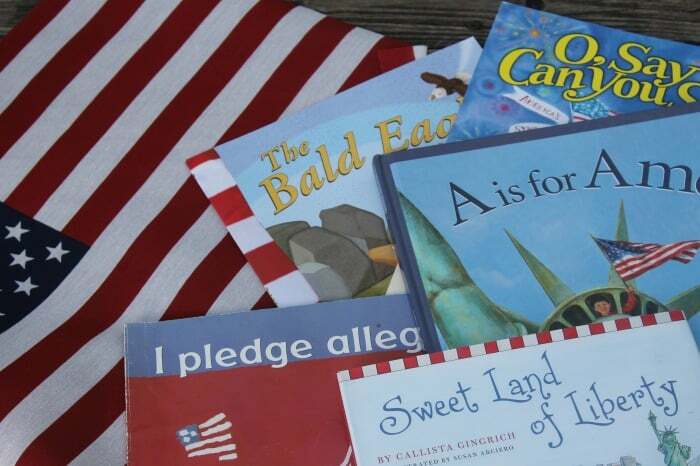 Tell me your favorite way to teach your child about American Symbols and Landmarks!